Earbuds & Dual pivoting earhooks made from natural wood, paired with a noise isolating rubber ear tip captures the essence of your music or phone call. Fits 3.5mm jack. Straight wire cord. Droids, Iphones, Blackberries almost all are 3.5 mm inputs. Earbuds & Dual pivoting earhooks made from natural wood, paired with a noise isolating rubber ear tip captures the essence of your music or phone call. 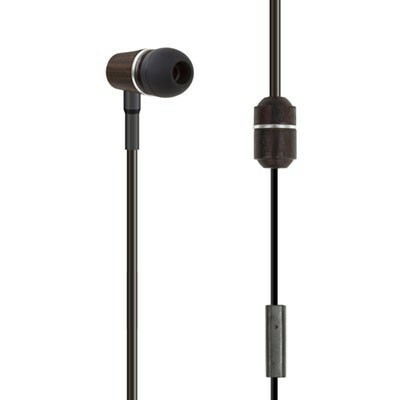 The ENVi stereo headset is ENVironmentally friendly, produced from natural and recycled materials. It's sensory earbuds are made from natural wood, paired with noise isolating rubber ear tips that capture the essence of sound. Its patented sound delivery process utilizes an airtube to produce "Live" sound with no interference. The microphone is specially designed for clear communication and features a squeeze on/off button.